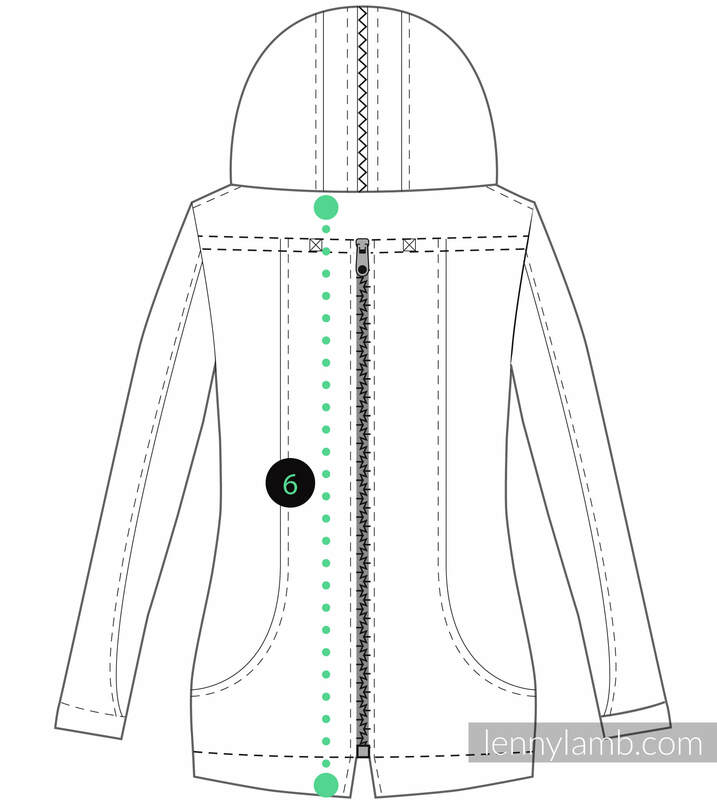 LennyLamb SoftShell Coat is dedicated for babywearing moms. 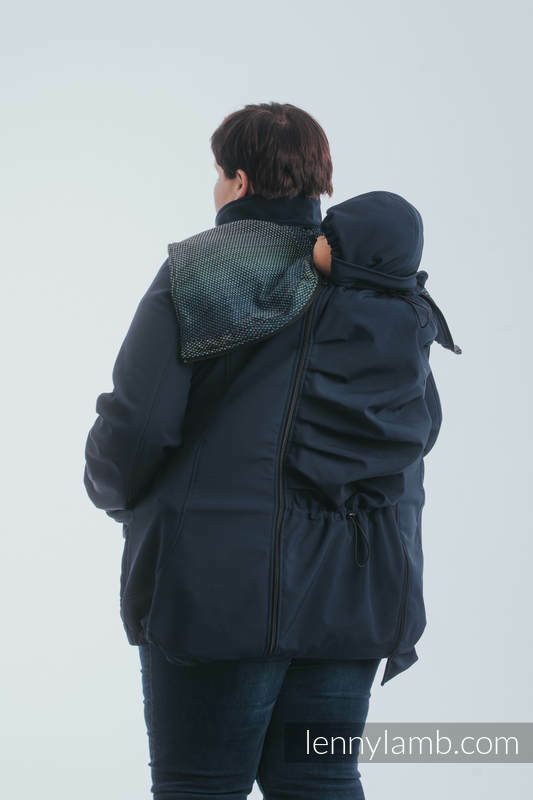 You can carry your child in front and on the back (it has two separate panels designed for this purpose). It will also work well for tandem carry. 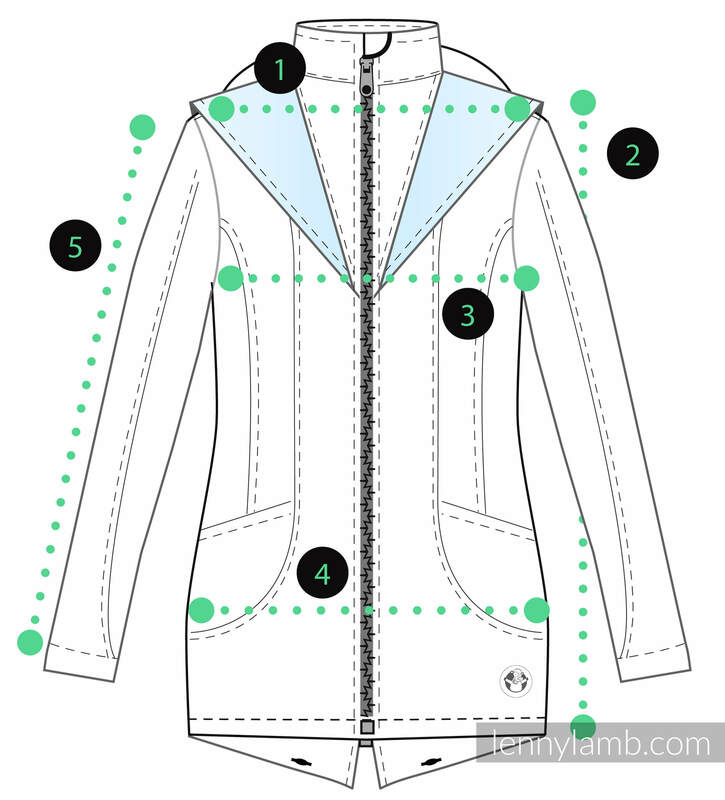 You can use this jacket without panels like a sports model for everyday use. 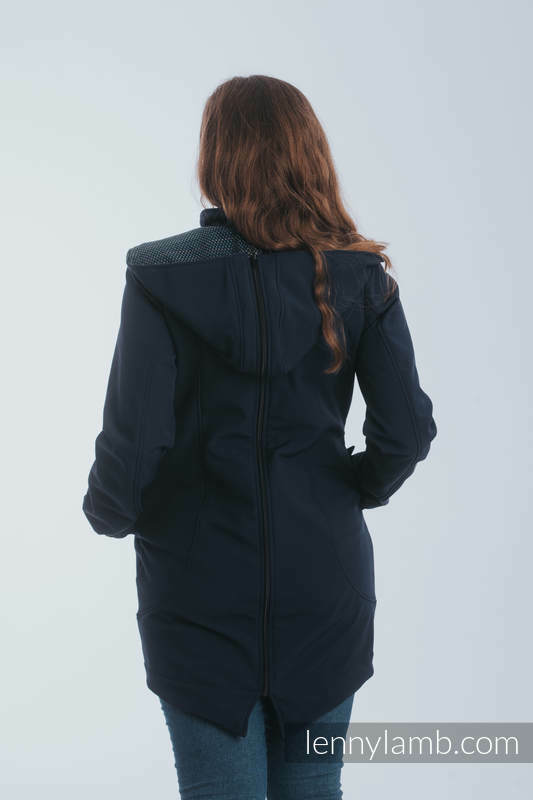 We recommend it for the warmer seasons: spring, summer, autumn and warmer winter days. 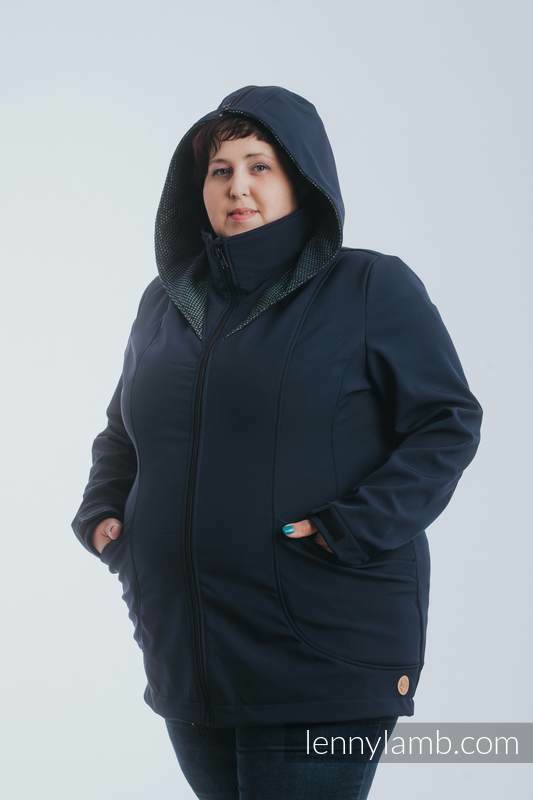 This coat doesn’t have any additional lining. 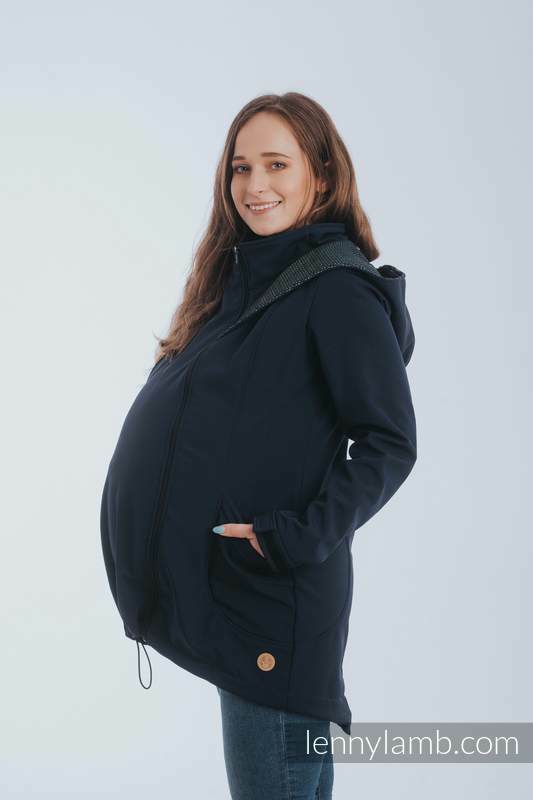 Thanks to 3 layers with water-resistant outer layer, the Softshell Coat is designed to give you comfort and convenience to you and your baby. 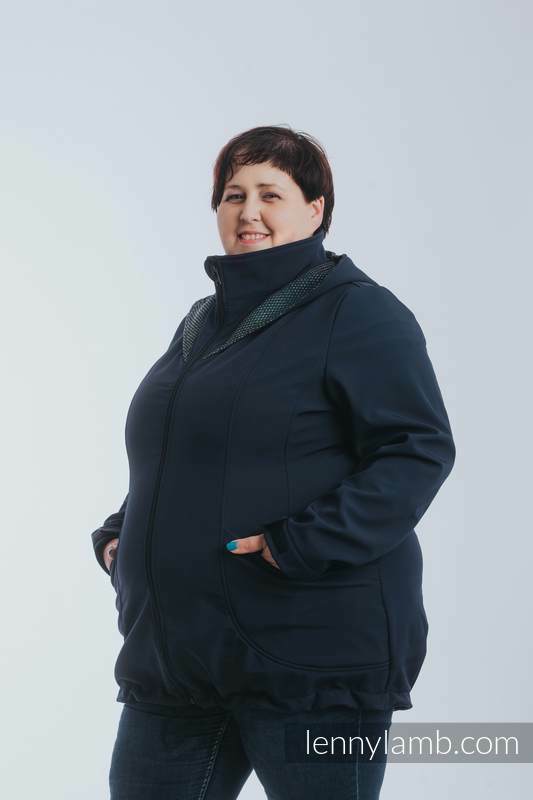 The coat is breathable, provides protection from wind and low rain. 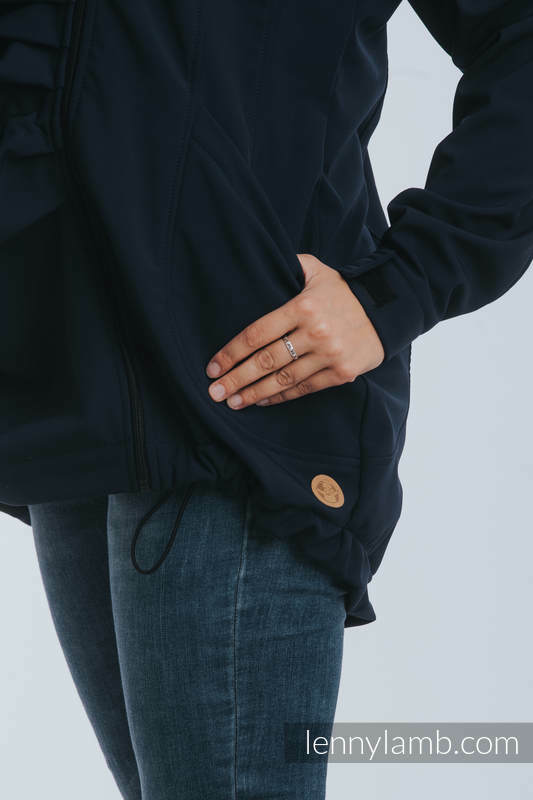 Inner layer is a soft and durable micro polar fleece which ensures thermal isolation and quickly transports overflow of moisture from body. 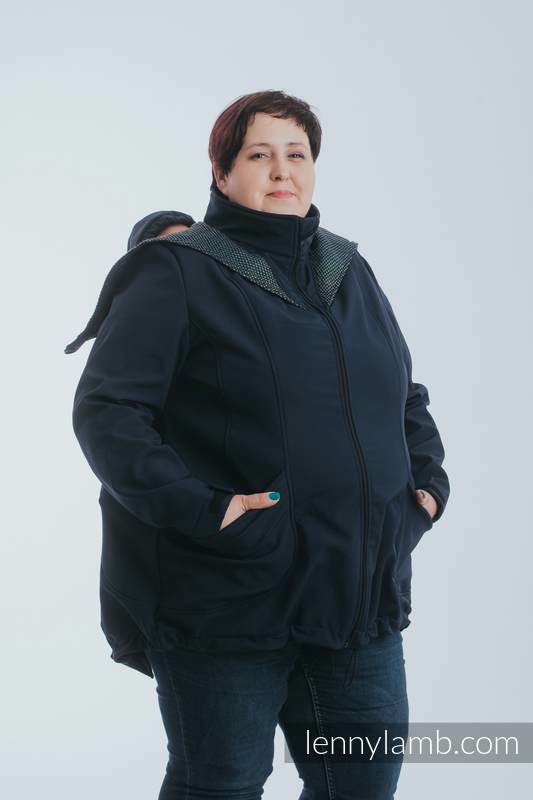 Softshell coat is elegant and very comfortable. 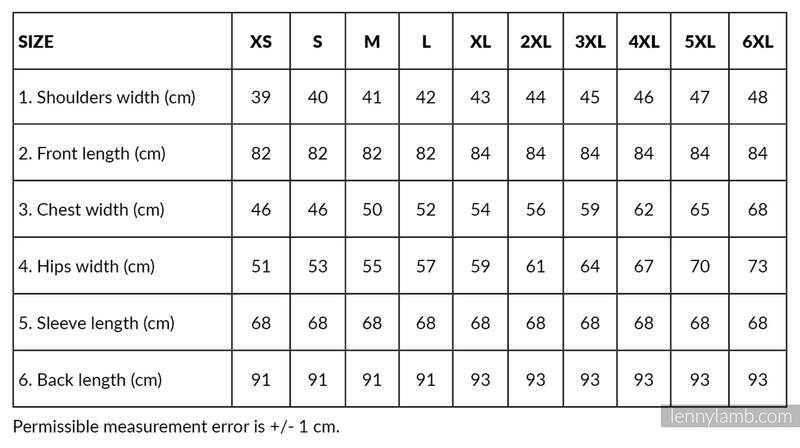 The Little Pearl design is woven in a very special way which gives the fabric its amazing softness and floppiness. 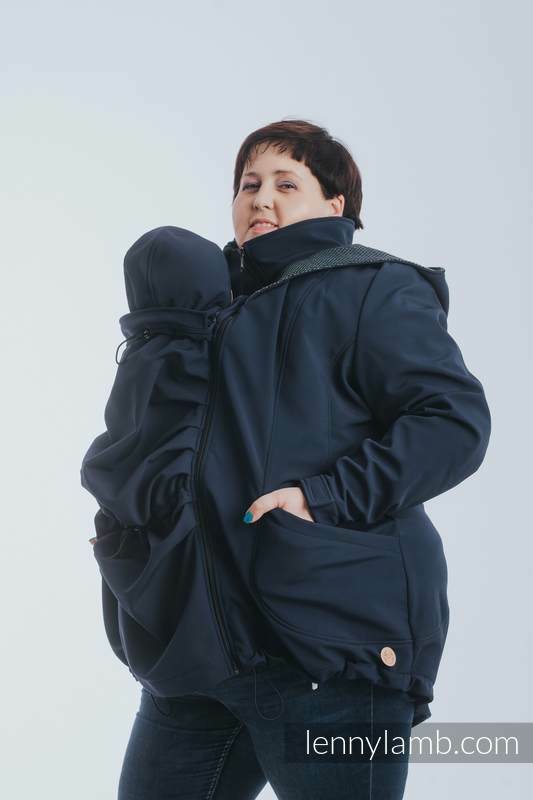 Yet it also makes the fabric more gentle and prone to pulls and snags.